Fiscal Year 2019 is coming to a close. It’s been a great year. You’ve proved to the world that you can Do Good and Do Well, and that leading with values, especially trust, is an investment that pays returns. We knew you could do it because we believe in you. We are your customers, and your partners, and your nonprofit grantees. Millions of us – customers, partners, nonprofits – we go to Dreamforce and we drink the good water of the company out of reusable bottles you give us, and then we go back to our hometowns and we set up a fountain for others and the water keeps flowing. Every month hundreds, thousands?, of volunteers around the world teach other people how to use your business software, for free – in User Group Meetings, Salesforce Saturdays, and Community Dreamin’ Events. This is no accident. You’ve purposely, and with great leadership, created these Community programs. We, your millions of customers, have been leading the charge of innovation, bringing others into technology, and transforming our own businesses. And now you have the unique situation where those who know your product the most – from the inside out and back again – are not your product managers (though you have some whip-smart ones of those) and they are not your customer service managers (though I’ve met some great female agents based in India) and they are not your sales account executives (though you have some passionate and strategic folks). The people who know your product best are now your customers. This is an amazing success story. It is one of the best. But it is also a problem. Salesforce, the people who know your product best are no longer your employees. They are your customers. Salesforce, your customers have outgrown the river banks you have created for us. You created a community for us to talk to each other online, and the millions of us who engage there can’t find what we need, because there’s so much goodness (and too many channels). You created an ideaexchange for us to log ideas, and we get frustrated when the volume of our enthusiasm is met with silence from product managers. You created a way for us to log support cases, but we get irritated when we can get faster answers by pinging the experts and product folks we know in the success community. You created a way for us to revolutionize and democratize technical training via Trailhead, and you’ve left documentation behind in the dust – so we tag product leaders to get it updated. We have outgrown you, and we love you for it, but we need you to help. Each year at Dreamforce you offer sessions of “Salesforce on Salesforce” that peel back the walls to show your customers how the company innovates internally. As you plan your next fiscal year’s priorities I ask you this – Make 2020 the year of Salesforce on Salesforce. Innovate from the inside out. Don’t just iterate your way to better documentation, or product prioritization, or customer support. Break up the old riverbanks. Acquire new technologies and build your own. Use AI to delight us. Revolutionize the customer experience – all over again. We’ll love you for it. And then we’ll ask you to package it up and sell it to us so we can do the same. Jennifer Sacks and Brett Taylor have been leading the charge to reimagine the ideaexchange, and helping customers understand the relative “cost” of their ideas to their pain points is a great concept. But last week a product manager asked me to log an idea when I asked how to do something in the Success Community. Back when we were thousands of users, logging ideas made sense. But now, product managers don’t just need ideas – they need user stories. They need to understand how we as customers are using the product, or want to use the product, in ways they never even imagined. I don’t always understand the complexity and interdependency of any workaround required to deliver an idea (though often I can guess). The ideaexchange should still be reimagined, but so should a way to log user stories, limitations and wish lists. What if a customer could log a “user story”, and others could respond with discrete community-sourced documents of their ways to solve it. User stories are often, but not always, about new product developments. Often its also about creative or effective use of what’s already available. What if trailhead and documentation teams could see the most common user stories submitted, and create engaging content that instead of deep dives into the technology, starts with the premise of answering a customer or developer question? New releases come out, and it’s impossible to catch everything. We are your ears and eyes and clicks. Let us, please, please, please have a fast track to logging issues we suspect are bugs. We don’t want to log a case. Sometimes we just want to be good citizens, and sometimes we encounter serious issues. We want someone on the product team to review, and recreate and confirm it. Documentation at Salesforce is complex, and it is static. What if there were a way to make a comment to the editors/authors of the document in a way that is scalable – right on the document itself? What if that core document could have links to community-generated content (submitted by the community and linked to their community profiles) that is deeper, and talks about best practice and tactical steps, and is vetted and voted upon for utility. What if partners could author posts filled with practical knowledge, and link to those posts on their appexchange listing, and be applauded as a partner by how many high-quality pieces they produce? What if individuals instead of answering questions could also author relevant help articles for common questions – and get trailblazer credit for those vetted and voted? Quip is transforming the way companies communicate internally. Can you transform the way you communicate documentation with us, and we with each other? Salesforce product suite is powerful, and complex. I may be an expert on the Communities cloud, but a beginner on the Service Cloud functionality. Or I may have consultant-level certifications in both. Salesforce should allow users to apply for a “known traveler number” – particularly those users logging cases from multiple organizations like consultants or other enterprise architects that can help route cases appropriately. 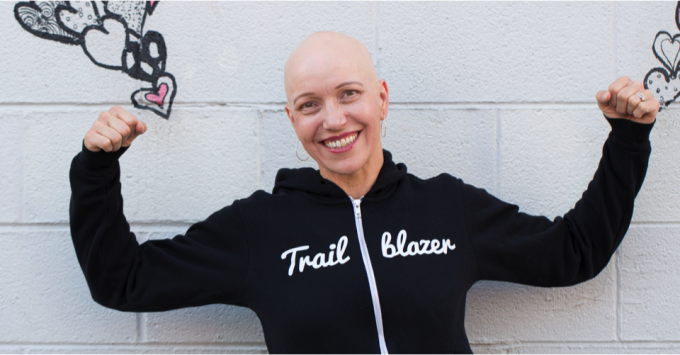 Links to trailblazer community profiles will help understand what certifications or Trailhead badges a user logging a case has – and do quicker case escalations to the appropriate level service agent. Salesforce can incentivize support agents to tag cases and their level of difficulty by product, by user, even before case resolution begins to give us more of what we need, faster. Let’s face it. In the world of omni-channel support – you rule the name of the case-deflection game with your Success community. So when we contact your support agent, it’s already an escalation. Let us send you videos to limit the “how to recreate this” typing when we’re already feeling exasperated. Have an immediate screengrab call the first time – so your agent can record the video, if needed, give us compassion, and research the issue and try to recreate it before contacting us next. Delight us with service that limits typing and limits the need for you to login directly to our orgs. Back in a smaller, simpler time I was told that Salesforce used to require every employee to work for a time on the line as a support agent. What if Salesforce met the growing demand for its support agents with giving internships to Salesforce-certified graduates of community-sponsored programs who are still seeking relevant experience? What would it look like if a customer could choose paid support, or choose an unpaid support plan that links them with supervised, certified interns on their continent who are given lower-pressure months to gain experience troubleshooting different use cases on the platform? I can’t tell you the number of times I’ve been told by a Salesforce employee to log a case – or to log an idea – or have a Salesforce support agent answer my question by pointing me back to an idea or known issue that I’ve commented on, or originated. Sometimes process can get in the way of an efficient outcome for the customer. Let employees log what they see, in the way that makes sense – without requiring origination from a particular source. Fiscal Year 2020 is going to be another blockbuster revenue year. Let’s also make it the year of Salesforce on Salesforce.